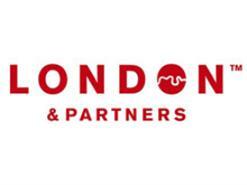 London & Partners has secured £2m of private sector investment from its 300-plus private investors since opening its doors for business half a year ago. The agency, which was launched this April by Mayor of London Boris Johnson, following a merger of Visit London, Think London and Study London, said it was using the investment to better-promote the capital to events organisers and business and leisure tourists. As part of its overseas promotional strategy, the agency will unveil a calendar at Imex America highlighting the array of ‘limited edition’ events that are taking place in the UK capital from now until the run up to the 2012 Olympics. The Limited Edition London campaign includes a business-focused calendar that will be launched at a press conference at Imex America on 12 October. It will feature tips and special offers for event planners, giving them advice on creating inspiring events and activities. Events it promotes include the Leonardo da Vinci exhibition at the National Gallery, a chance to sleep under the stars at ZSL London Zoo, and the Queen’s Diamond Jubilee. London & Partners' £2m funding has been generated by private sector partners including Cadbury, HSBC, Radisson Edwardian and Merlin Entertainments. Gordon Innes, London & Partners’ chief executive, said: "Over the past six months we have been bringing together the remits of Think London, Visit London and Study London to create one single agency for the capital. "Not only have we managed to sign up an incredible range of commercial partners, but we have also bought business, associations, events and visitors to the capital. Our mission now is to ensure we are taking full advantage of the 2012 Games to attract visitors, businesses and students throughout 2012 and beyond." London & Partners’ remit is to attract major events, business and leisure visitors, inward investment and higher-education students.